CAREER VANTAGE – Your guide to making an impression. 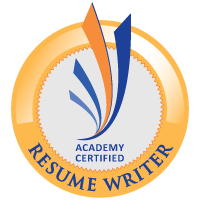 Work with Cincinnati's only Nationally Certified and Academy Certified Resume Writer. Developing professional resumes since 2003, providing clients in every industry with a distinct and decisive advantage. CareerVantage provides professional career services that help our clients make a great first impression. We can help with resumes, curriculum vitae, cover letters, and more -- specifically designed to meet your career needs. Whether you are searching for your first full-time job, re-entering the work force, or a seasoned professional looking to upgrade your employment opportunities, CareerVantage is here to provide you with the tools you need to overcome job search challenges and avoid the common pitfalls of a "self-marketing" campaign. Our mission is to help you realize your career dreams! A professionally designed career portfolio is an investment in your future earning power and career happiness. The size of the investment is up to you since you select only the services you need.